Dr. Richard Jaffe is an internationally recognized subject matter expert in the field of chemical, biological, radiological and nuclear defense issues with almost 30 years of technical and operational experience in government, academia, military, and industry. Dr. Jaffe was the scientific lead for the Federal Bureau of Investigation’s AMERITHRAX case in 2001-2003 while working at Commonwealth Biotechnologies, Inc. in Richmond VA. There he led a scientific team that developed the molecular assays that provided the FBI the crucial scientific evidence to proceed in their investigation. From 2006-2012, as the Senior Medical Advisor to the Office of the Assistant Secretary of Defense for Nuclear and Chemical and Biological Defense/Chemical and Biological Defense Programs at the Pentagon, he helped lead, guide, and integrate the Department of Defense’s (DoD) policies in areas such as medical countermeasures (MCM), diagnostics, public health, and biosurveillance. 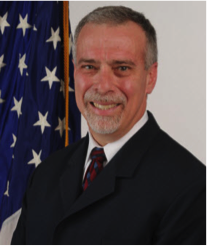 Dr. Jaffe is currently the Director of the Division of Medical Countermeasures, Strategy, and Requirements in the Office for Policy and Planning, Office of the Assistant Secretary for Preparedness and Response at HHS. The Division leads the efforts to develop policy initiatives, planning and analysis, activities for storage, dispensing, administration, etc., and requirements for MCM that help protect the U.S. civilian population during public health emergencies. Dr. Jaffe received a Ph.D. in Microbiology and Immunology from Medical College of Virginia, a M.S. in Human Genetics from George Washington University, and a B.S. in Microbiology from the University of Maryland. He is a board certified Medical Technologist and served honorably in the United States Air Force before separating at the rank of Major.